What's Inside GoPro's Tiny New Camera? GoPro’s new camera is a tiny cube. It’s unlike any GoPro ever made. What’s packed inside? 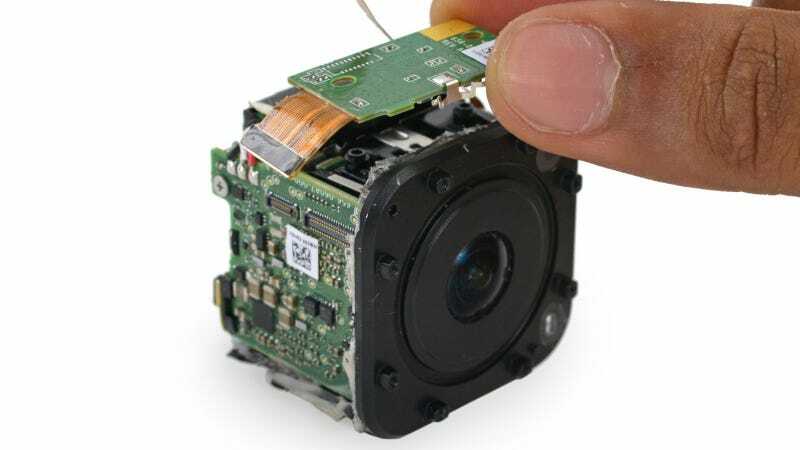 iFixit tore the GoPro Hero4 Session apart—literally—to find the answer. What did they find? Tiny circuit boards, of course, a fairly tiny lens assembly, and a totally sealed transparent cube they had to tear apart with a saw and a box knife. That could be bad news if you want to replace the battery, or repair a broken unit. But it’s good news when it comes to making sure this sucker stays waterproof. 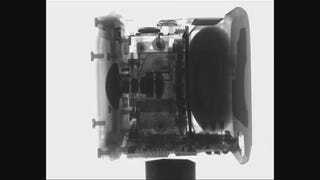 You can even see how all the lens elements of the GoPro camera fit together to produce those awesome wide-angle videos. Find the full teardown, with loads more high-res photos, at the link below. Or click here for our full review of the camera.